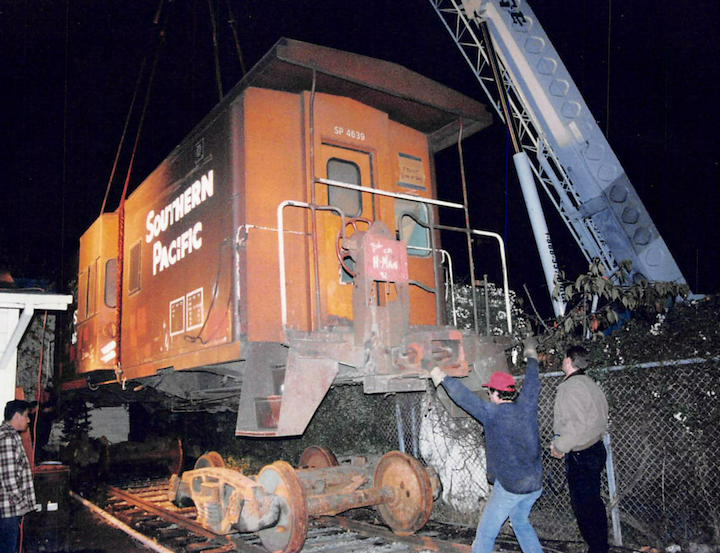 When he was about 25 years old, Robert Garross rode in a caboose from Great Falls, Montana, to Everett, Washington. 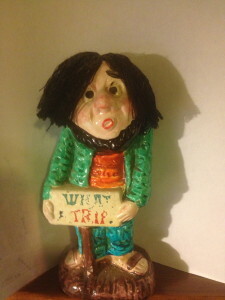 He had been inspired by Jack Kerouac’s On the Road, but it got cold at night crossing the Rocky Mountains, very cold. He moved from his home in Waukegan, Illinois, to Berkeley in 1980. He bought his house on Fifth Street at Camelia in 1996. He makes his living buying, rehabilitating, and selling houses, from Joshua Tree to Volcano to Isleton. Berkeley has gotten too pricey for his business model. Walking his new neighborhood, he was inspired by an old wooden caboose on a nearby railroad siding. 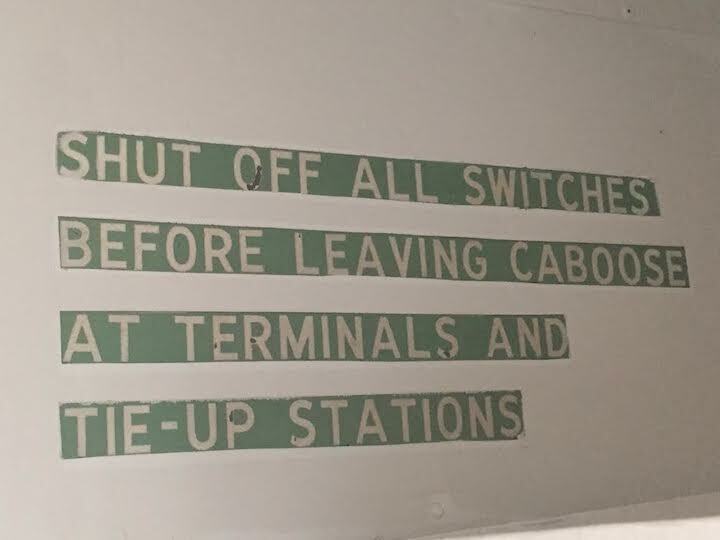 In the 1980s, advances in technology such as flashing rear-end devices and end-of-train devices intersected with corporate goals of reducing labor costs to spell the end of the caboose as we knew it. They were sitting around. 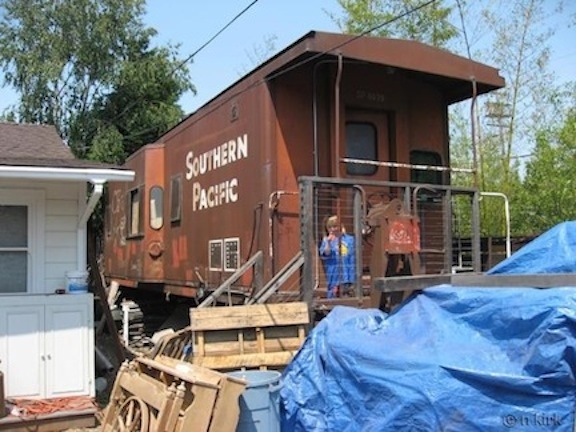 In 1998, before you could shop for cabooses online, he decided to buy a caboose. To put in his driveway. 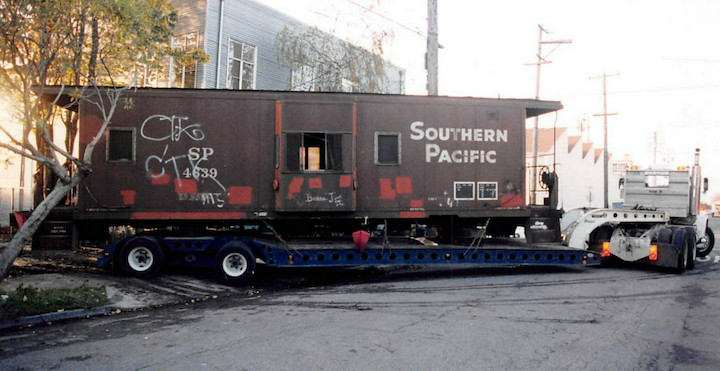 He visited a railroad yard in Barstow, and then located a late-model Southern Pacific bay window caboose in a rail yard in Sacramento. 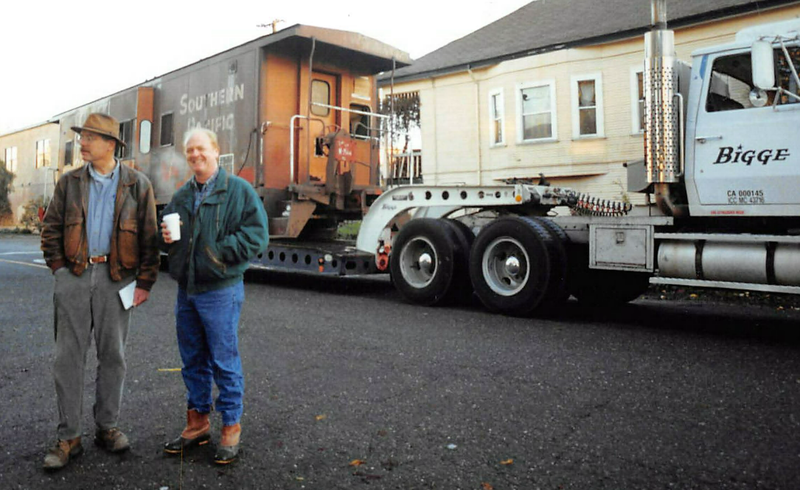 He bought it and had it trucked to Berkeley. He laid railroad track down the middle of his driveway. 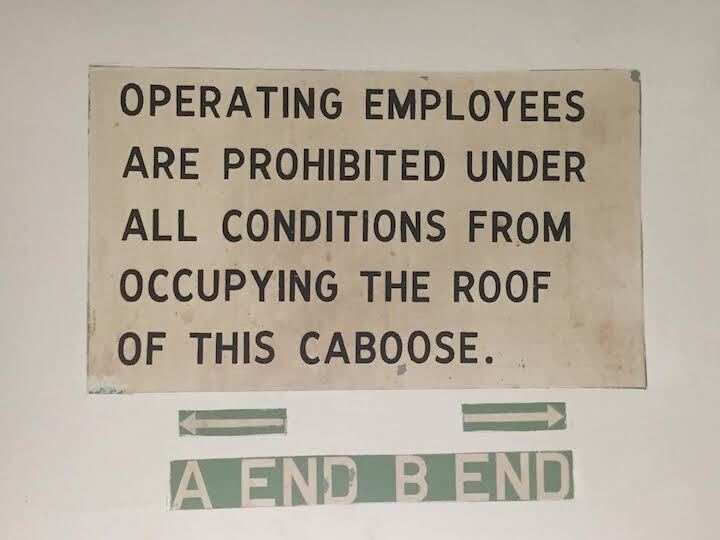 And then came the setting of the caboose. 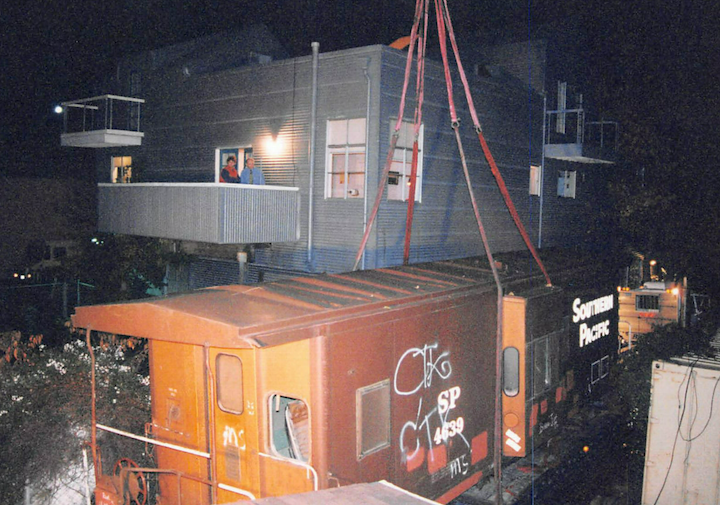 Enter Bigge Crane, and enter neighbor Chris Brown, who let Garross use his backyard to stage the crane lift of the caboose – first the wheel structures and then the body. What an effort! Wolfe just about nailed it. 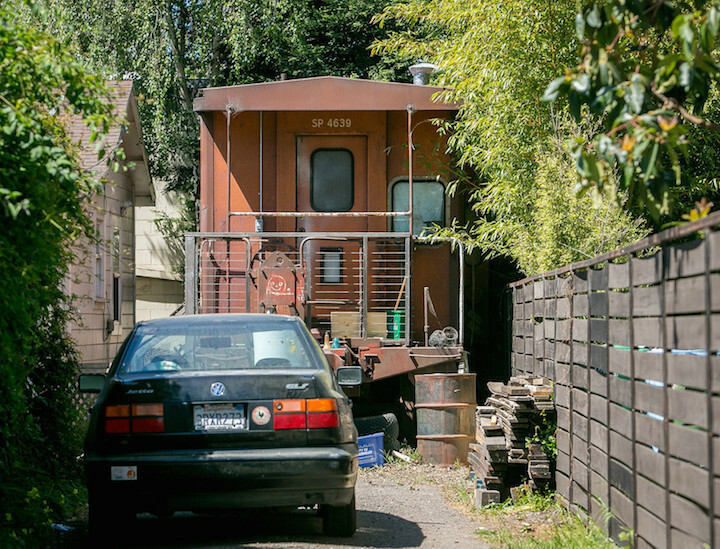 It just doesn’t get more romantic – and quirky – than the caboose in the driveway on 5th Street. 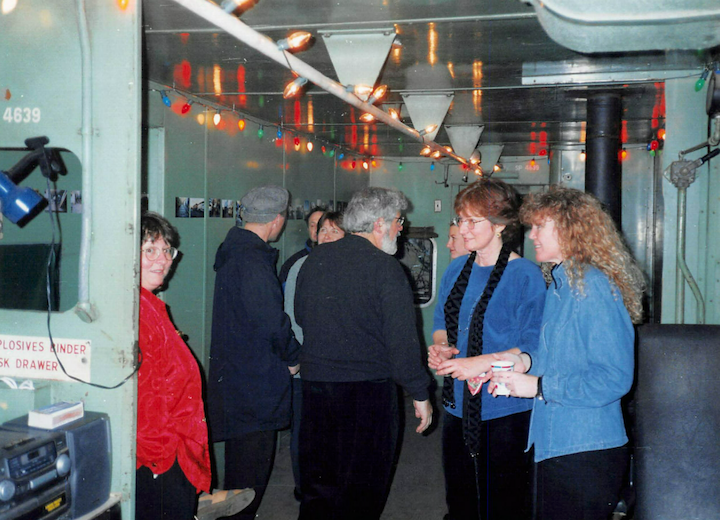 When I took the caboose photos to my friend, he was busy thumbing through a collection of naughty citizens band QSL cards used by radio users to indicate that they have talked together on a certain frequency, date, and time. He has a thing for CB ephemera, especially ephemera related to the slang of CB users. It was a big craze in 1976. 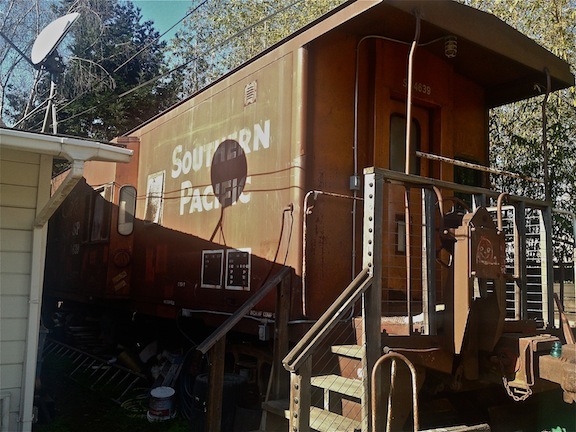 I extracted him from the QSL cards and had him take a look at the caboose photos. His verdict?